Stimulates older people and people with dementia to be more physically and cognitively active. 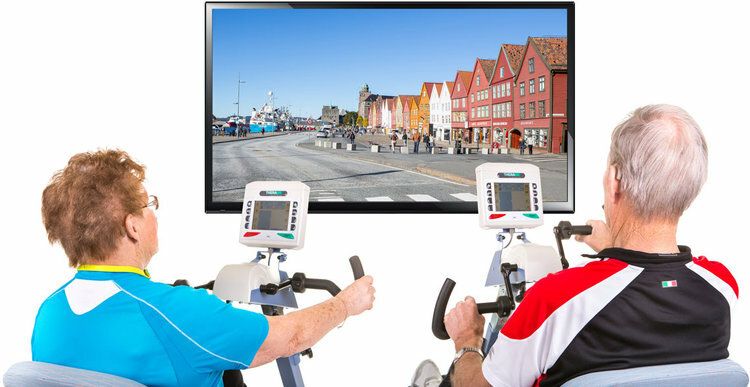 By using an exercise bike, video and sound, the users can take cycle trips through familiar surroundings and childhood memories. Motiview consists of a device with motivational videos (PC or similar) that is paired with a display (TV or other). 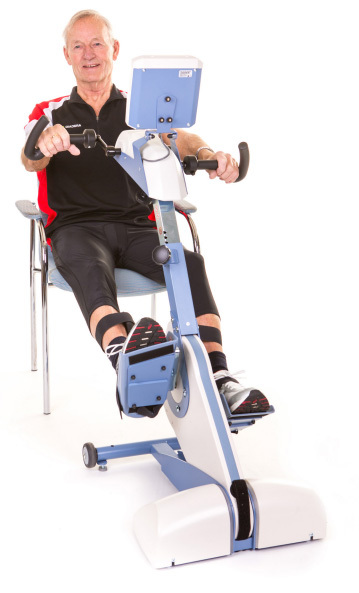 This is combined with a custom-made exercise bike. The system provides access to an ever-growing movie library, where each movie provides a high level of recognition. All films are produced in collaboration with customers and users. In close collaboration with a music therapist, we have developed playlists of music to provide a complete experience. THE VIDEOS MOTIVATES THE OLD TO WORK OUT. independent of age and functional level. Are you a healthcare professional who wants to talk to a Motitech representative or a relative who want better quality of life for your mother or father? Fill out the form below and we’ll reach out to you on how to get started on the process towards better physical and mental wellbeing for older people and people with dementia. Do you have questions regarding moiview? See the videos below and you will find some answers.